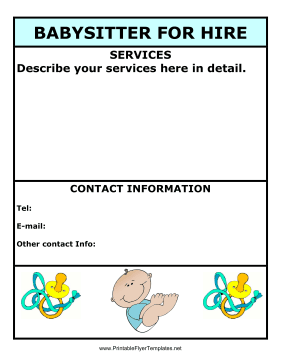 This babysitter flyer features a picture of a baby and several pacifiers. It has a simple and highly customizable design, which can suit any babysitting specialty. Remember to include your contact info!